Although the capital investments are being discouraged due to the large area required and the high initial cost incurred in constructing a very large new structure, the solar updraft tower market is witnessing a renewed interest, especially in sunny remote areas. Since solar updraft towers technology is the only renewable energy technology that can produce electricity from low temperature heat, its demand is likely to rise significantly in the near future. Recently, a few novel projects have been proposed in several countries, such as Africa, the U.S., and Australia; however, capitalization is becoming a severe issue for market players. A conventional solar updraft tower has a considerably lower power conversion rate in comparison with the other technologies used for solar thermal collection in the high temperature group. The low cost per sq. mtr of solar collection, however, balanced the low conversion rate to some extent. A 100 MW unit generally requires a 1,000 m tower and a 20 square kilometers greenhouse. A 200 MW unit with the same tower needs a collector of 7 kilometers in diameter. The efficiency of a transpired solar collector is almost double than a glazed collector. The additional improvement in efficiency can be gained through modifying the design of the turbine and chimney to increase the speed of the air by using a venturi configuration. However, the atmospheric winds, the reflection of the greenhouse canopy, and the drags induced by the bracings utilized for supporting the chimney may degrade the performance of the tower. Conventional power generation from oil, natural gas, and other non-renewable other sources is adversely affecting the environment. All of these sources are non-sustainable when it comes to preserving natural integrity over the long run and many nations are already finding it difficult to keep up with affording to run all energy demands solely off non-renewable sources. The solar updraft tower technology is one of the prime renewable sources that is expected to fulfill the ever-increasing demand for clean and sustainable energy. Solar updraft towers are based on the principle of convection, where air can be heated through solar energy and used to drive turbines and eventually generating power. Air is heated using solar radiation beneath a transparent roof/covering. In the center of the plant lies an upright tower with large air inlets at the base. 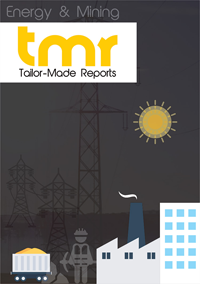 Of the several factors propelling the global solar updraft tower market today, one of the leading factors has to be the very high need for clean, sustainable, and reliable sources of energy. On the other hand, the global solar updraft tower market is being restrained by the time and capital required for setting up the plant. However, environmental concerns are constantly growing in terms of fuel conservation and the global solar updraft tower market provides a long term solution for energy deficiency, which is expected to bring up new opportunities in the market for both, players and the investors. The solar updraft market can be segmented on the basis of the types of components, into collectors, storage, towers, and turbines. The air collector is a plastic film or glass glazing, which is used to collect the air produced from the greenhouse effect. The glazing is stretched a few meters above the ground and the radius of the tower increases towards the base of the tower. The air is diverted from horizontal movement into vertical with minimal frictional loss. The ground under the roof heats up, and through solar radiation, the heat is transferred to the air flowing towards the tower. Storage devices are used to store the generated thermal energy. Towers are usually the thermal engines of solar updraft plants. These are pressure tubes with minimal friction loss because of the surface to volume ratio. In a huge solar updraft tower, the collector elevates the temperature by about 30 to 35 Kelvin. This generates an upward velocity in the tower of close to 15 m/sec. Turbines are used to convert heat energy into rotational energy derived from the tower. The turbines in the solar updraft tower work a shrouded pressure stage or a wind turbo generator, in which static power is converted into rotational energy, using a cased turbine. The output is proportional to the volume flown and pressure differential over the turbine. In the European region, a small scale demonstration plant is currently operational in Manzanares, Spain. In the North America, multiple projects are expected to be approved and built in the coming years. In the Asia Pacific region, tropical locations and such as India and parts of Australia can be great options from an investor’s point of view. Currently, in China, a 200 kilowatt updraft tower is operational in Jinshawan in Inner Mongolia. The key players in the solar updraft tower market so far were EnviroMission and Hyperion Energy.